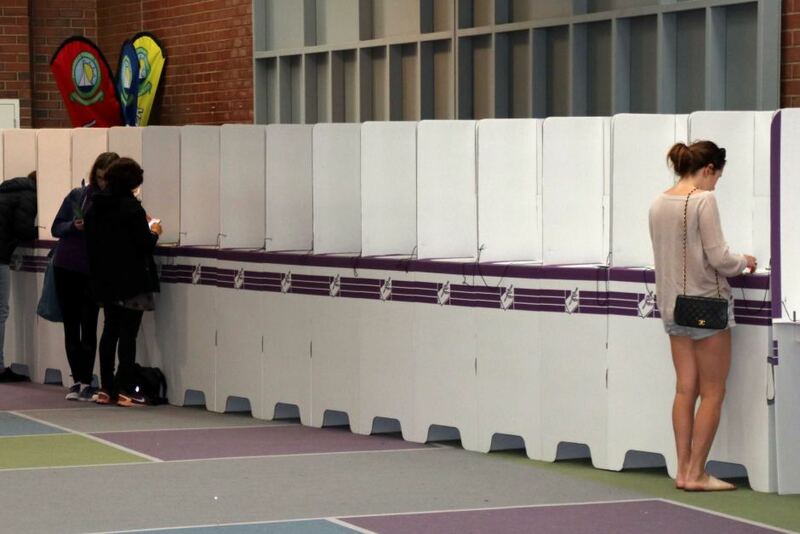 Perth and Fremantle are looking like they are about to set the record for the lowest voter turnout in an electorate since Australia first initiated compulsory voting. In the by-election Saturday, Labor held both seats, largely in part to the Liberal Party's decision not to back a candidate in the districts known to be traditionally left-wing. Voter turnout rates in Perth were as low as 62% Sunday with Fremantle only beating out Perth by a couple of points at 64%. On top of that, the Australian Electoral Commission (AEC) said some mail-in votes have already been counted and included in the turn out tallies. Perth could beat the previous lowest turnout record of 69.5% in the NSW seat of Wentworth which dated back to 1981. Not a good sign when nearly half of your constituents aren't even voting. Prime Minister Malcolm Turnbull didn't tour WA during his campaign, and the state got none of the election promises that were offered to the east. Analysts are saying this could explain the recent voter apathy and contributed to alienation since most saw the result as a foregone conclusion. Political analyst Professor David Black attributed the "spectacularly low" turnout to the lack of the Liberal Party's willingness to field candidates. Professor Black said, "I think for a very significant part of the population the by-election almost didn't exist. One of the reasons for a low turnout was people were totally unaware. The opportunity for the Liberals to show by a strong performance in the by-elections that the Western Australian public were very pleased with this GST decision … was completely lost. I will be interested to see what that review shows up, but clearly, the AEC has to think about their approach when it comes to by-elections differently." Could we be seeing a similar shift in the public's' perception of politics that America saw leading up to the 2016 presidential election? When people don't feel like their votes matter, they are less likely to vote and without any participation in the political process, this leaves many feeling like they are without a voice. Now, I'm not saying the Liberals should start fielding more candidates. The people of these regions where only half the citizens are voting need someone to come and speak to them in a way that inspires them to get out and vote whatever their political preference may be. Either way, things aren't looking hopeful for Prime Minister Turnbull.